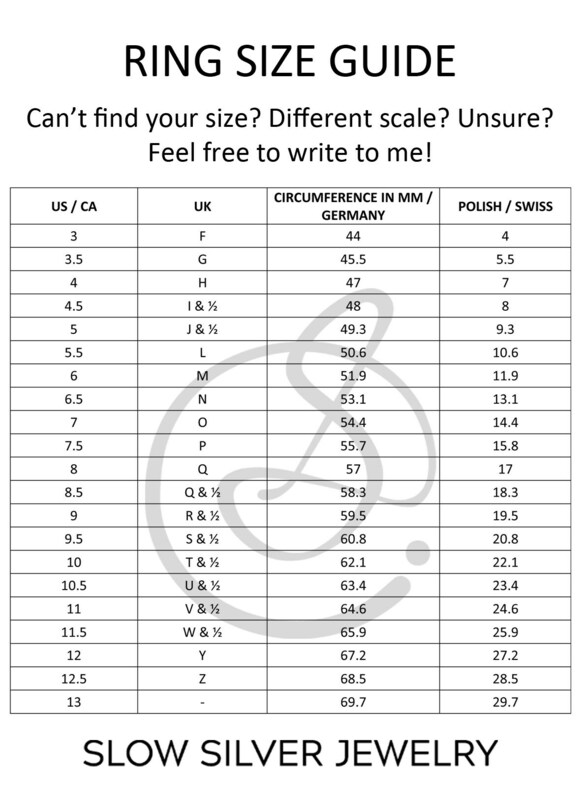 Are you looking for an alternative engagement ring? 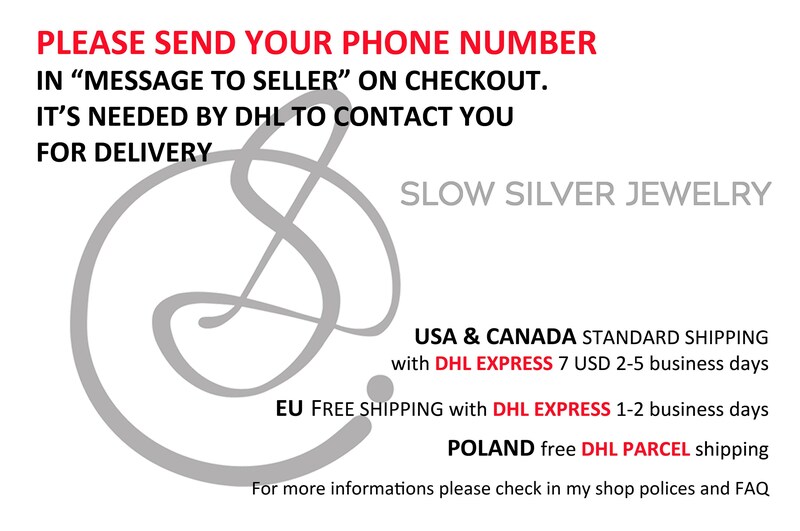 Or maybe you're searching for some special gift for someone close for you? 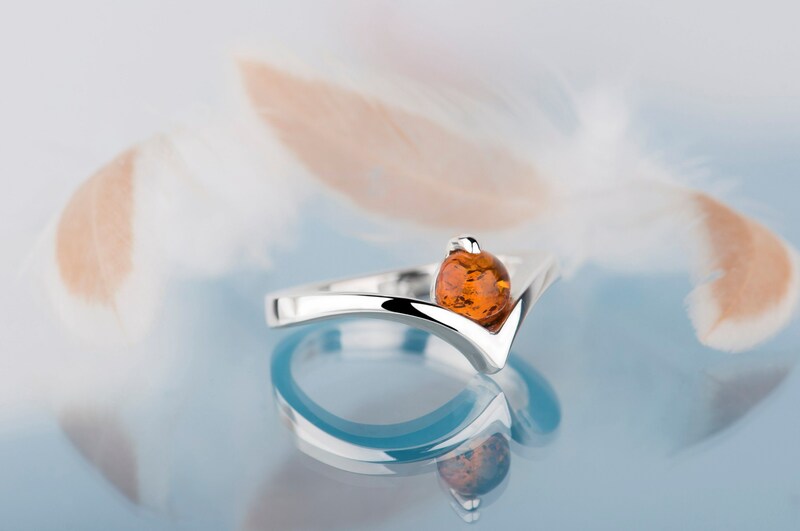 This silver amber ring can be a good idea for both occasions. 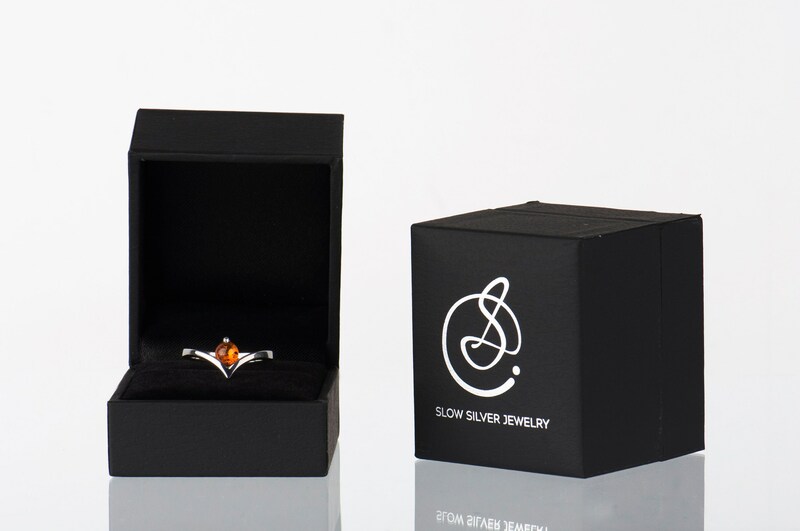 It's a unique engagement ring because of at least three reasons. 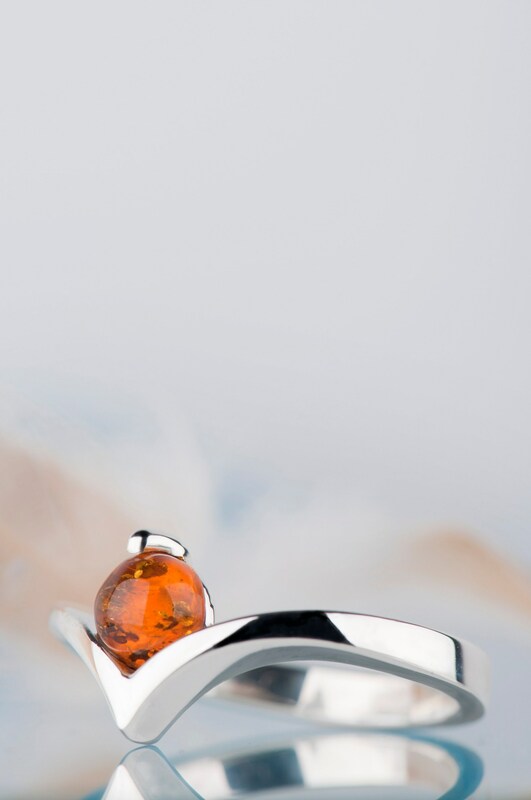 First, the ring combines two contrasting forms - round shape of the stone and sharp V shaped band. 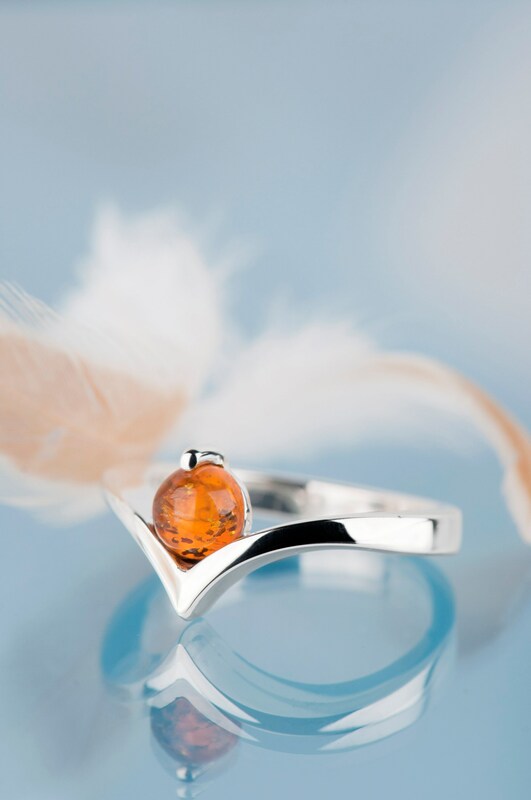 That's why this ring is unusual but still minimalist and simple. 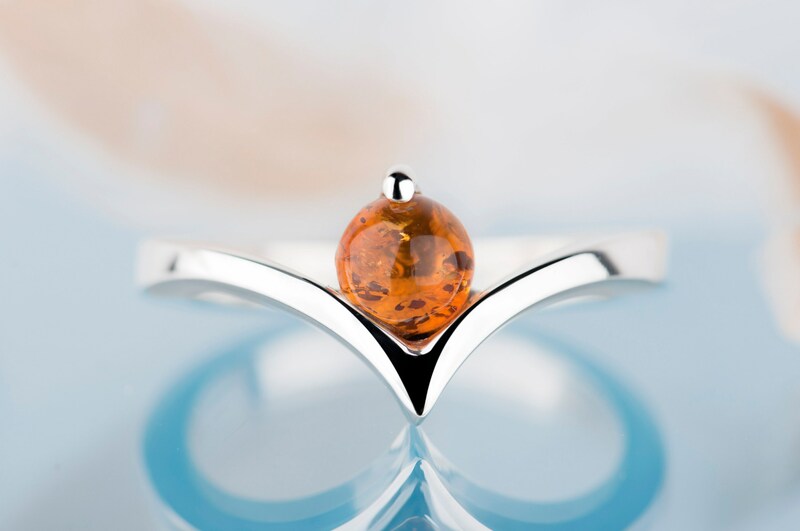 Second - every example of Baltic amber will be different. There is no possible way to receive two identical stones. 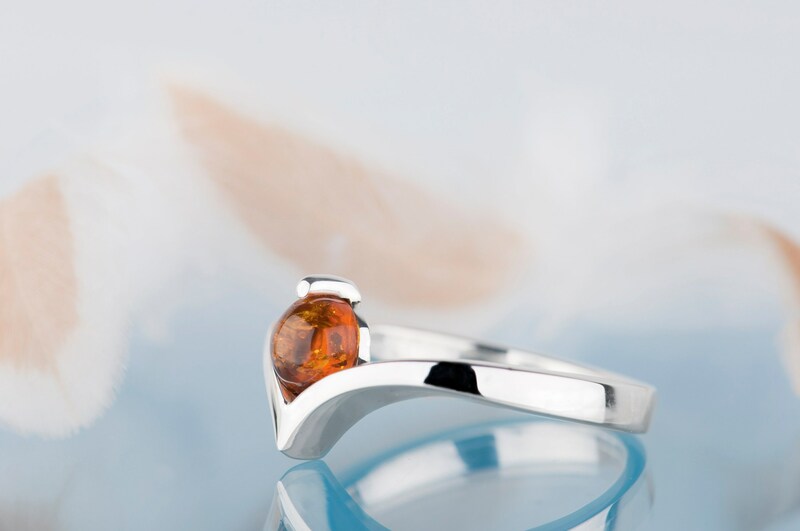 And third, amber isn't used very often in engagement rings (what a pity - it's such a charming stone!) so you can be sure that it will be something really special. 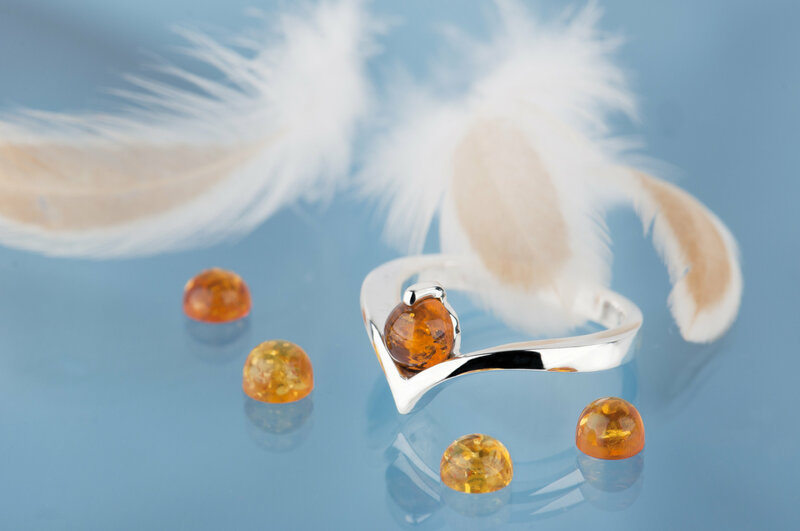 As a gift this amber ring can be a beautiful surprise for somebody who was born in Poland or has some great memories from this country. 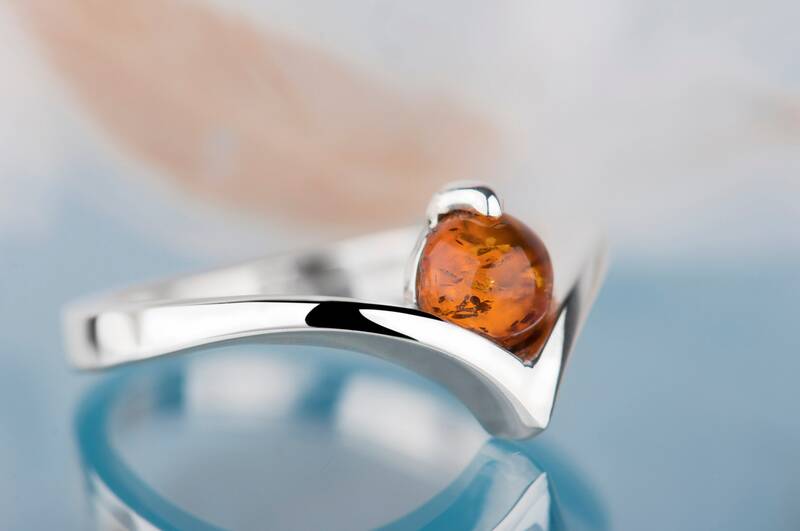 Amber is a treasure of Polish seaside and I, as a Polish craftsman, make jewelry with this stone with great pleasure (more Baltic amber jewelry you'll find in link below).